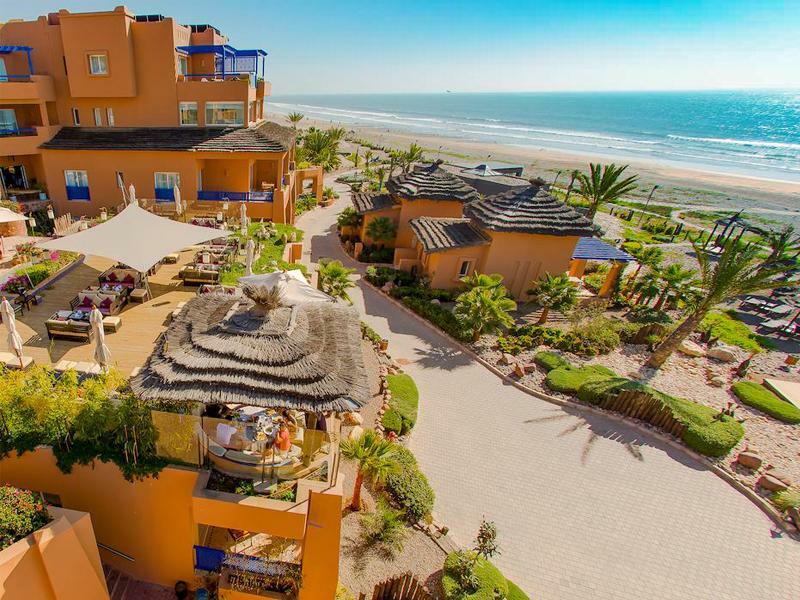 The title of tourism capital of Morocco belongs to Agadir, which is considered a seaside resort. This is a modern, welcoming city, full of African charm and ideal for sea lovers. 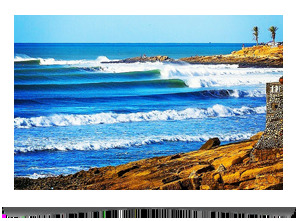 It has the advantage of being surrounded by the best surfing spots in the region and is suitable for many other water sports as well. 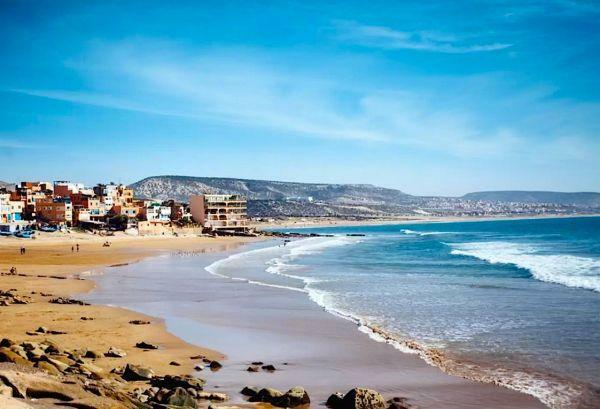 The beaches are Agadir’s calling cards, located as they are in a bay, with long golden sands, calm sea and constant sun. The Sous Massa nature reserve, the local Medina, the Kasbah ruins of a XVI Century fort which was used to defend the coast from attacks, especially from the Portuguese, and the local markets are other attractions where you will find traces of the culture. 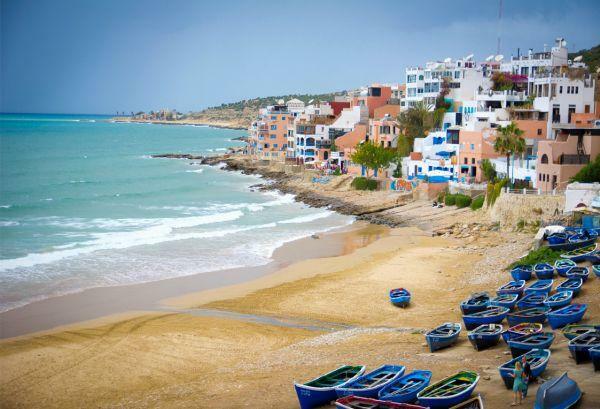 Taghazout, on the other hand, is 20 km north and is known as the Moroccan surfing capital because of its numerous right hander point breaks, with Anchor Point standing out above the rest. The weather is moderate due to its position on the Atlantic coast. Maximum temperatures in the winter are over 20º, although it can get chilly at night. In the summer the maximum temperatures go up to 26º and the lows rarely drop below 20, which makes the region hot and almost rain free. 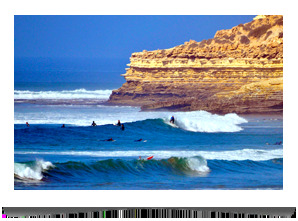 The most consistent surfing season in the region is between mid-September and early April. The mostly moderate winds and the North Atlantic Swell are the main reason for this, and Taghazout also benefits from being exposed to the offshore wind. On the northern point of Taghazout. 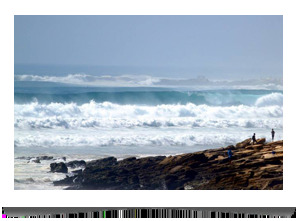 A perfect right-hander point break, Moroccan surfing’s holy grail, where you can bag some memorable sessions, especially if the wind is offshore and there is a good swell. The waves break above 2 feet and the spot can handle up to 15 feet on bigger days, with incredible tubes on the inside. This is a long magical wave. The only let down is the crowd. To the right of Anchor Point, on the road between Taghazout and Essaouira. 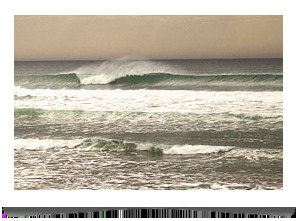 A big, long, fast right hander, this is one of the most consistent spots in the region. 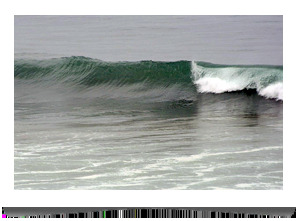 It works best with an outgoing or low tide, and breaks with just about any swell, handling waves up to 12 feet. Can get crowded, especially since this is the first of the long right handers in the region to kick off. Paddling out to the peak can get complicated at times. Just 1 km north of Anchor Point. 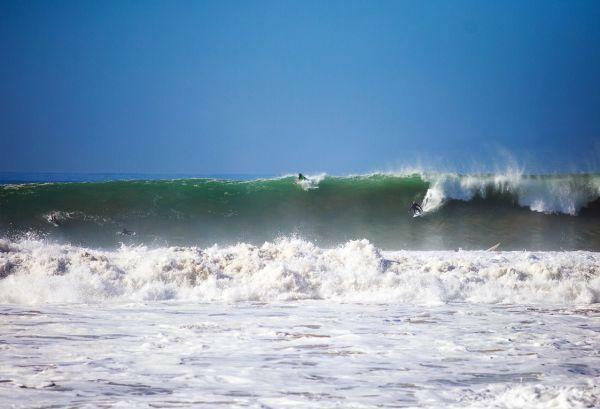 This right hander point break is one of Taghazout’s main – and most popular – peaks. 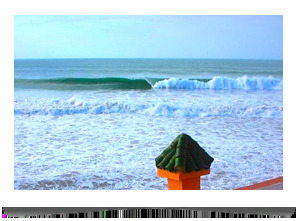 It is quite consistent, although it only works to perfection with low tide and waves over 6 feet. This can be a fun wave on exceptional days, with 500 meter long rides. However, there can be some issues with localism. North of Taghazout, further up from Boilers. This right hander point break can only be surfed by the most fearless. It gets its name from the sharp rocks which form the ocean floor. The swell gets big in this spot, offering hollow and risky barrels. 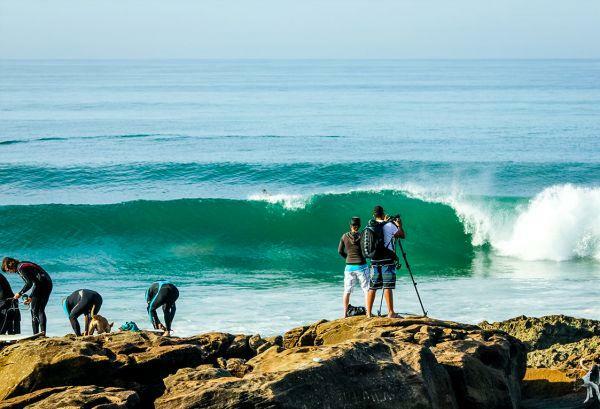 Considered Boilers’ evil twin, it can be rewarding for the more experienced surfers, especially due to the lack of crowd. North of Taghazout, between Anchor Point and Killer Point. A right hander reef break which, at times, also throws out some left handers. The rocky and sand bottom makes for some clean and fun conditions, with up to 150 meter rides on the best days. 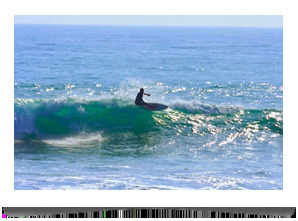 Works best at mid outgoing tide and is a good option for surfers of all levels of experience. South of Anchor Point, in a more central part of Taghazout. A right hander point break which, despite not having the quality of neighboring spots, is still a regional favorite, especially among those more averse to driving long distances on a wave hunt. It is a fast wave, which can carry off 150 meter long rides and works best at high or incoming tide, with a westerly swell. Between Agadir and Taghazout, in Aourir. One of the best spots for surfers looking to hone their technique and learn new skills, this point break has sections suitable for riders of different experience levels. It gets more consistent at low tide, when the fast wave breaks perpendicular to the coast and can be ridden for up to 300 meters. It does get crowded and on bigger days only more experienced surfers should paddle out. Between Hash Point and Banana Beach, south of Taghazout. Yet another right hander point break, with sand and rock bottom. Not very consistent, but when it works the waves can get as long as 500 meters. 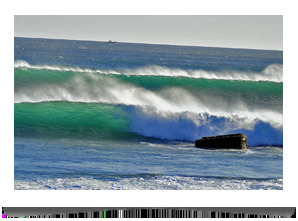 There are sections for intermediate surfers, which are ideal at low tide. But there can also be some good barrels, perfect for more experienced surfers. This is a fast wave which can also be fun but, when the conditions are perfect, it does get crowded. Between Anchor Point and Killer Point. A right hander reef break with one of the toughest takeoffs in the region. When the bigger sets hit they can sweep the lineup, leaving many a board adrift. On the smaller days the wave becomes more maneuverable, longer, faster and fun. It has a beach break and closes out at the end. Gets crowded. North of Taghazout, before reaching Imessouane. A beach break with both left and right handers, this is one of the most consistent spots in the region with constant waves, even when it is flat in other spots. On these days it is a good choice for beginners, working both in low tide and at high tide. However, on big days only more experienced surfers should attempt to ride these power-packed barrels, which can peak at over 12 feet. Watch out for currents. A left and right hander beach break which works frequently and is a good for beginners, even though it handles waves up to 6 feet. Works best at mid-tide and on the best days you can bag 150 meter long rides. Not very crowded, but there are lots of surfing schools, as it is a great spot for learning to surf.